local files to various portable devices like iPod, iPhone, PSP, cell phone, ZUNE, etc. With 8 copy modes, you can back up any DVD to DVDR in just a few clicks. BluFab is simply the easiest way to copy a DVD/ Blu-ray movie. Just insert the movie and a blank DVD/ Blu-ray then press Start. Your entire movie – including menus, trailers and special features – is copied to a single DVD/ Blu-ray with just one click, and everything happens automatically. Backup your entire DVD/ Blu-ray – including menus, trailers, and special features – onto one or multiple discs. BluFab Blu-ray to DVD Converter is definitely the first software in the world which can decrypt then convert any Blu-ray to DVD-Video disc for playback on DVD player or DVD player software with no third party’s help. BluFab “Blu-ray to Blu-ray” is the first full-featured Blu-ray copying/burning software. With 4 copy modes, you can backup Blu-ray to BD-R or hard drive in just one or a few clicks. 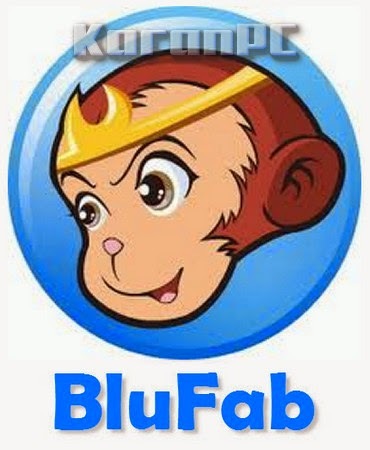 BluFab “DVD to Mobile” converts DVD title to AVI/MP4/WMV/MKV files which can be played on mobile devices like iPod, PSP, ZUNE, cell phone, etc. BluFab “File to Mobile” converts source video file on your PC to next generation console like PS3 and Xbox 360, or mobile devices like iPod, PSP, ZUNE, cell phone, etc. BluFab “File Mover” option transfers converted files to mobile devices like iPod, PSP, ZUNE, etc. BluFab DVD Copy is popular worldwide and known for its power and flexibility. You can copy a DVD with just a click or two, or use DVD Copy’s many settings to customize the ouput. Burn it to a blank DVD or write the output to a folder or image file on your hard drive or media server, compress content to fit on smaller discs, the choice is yours! BluFab Blu-ray Copy firstly supports Civavia protection in the world and can lead you out of the above plight. Blu-ray Copy now can copy any Blu-ray disc with Cinavia watermark, and create a protected disc (BDMV-REC) to disable Civania for playback on PS3. Keep in mind that you can only accomplish this in either “Full Disc” or “Main Movie” mode using Blu-ray Copy, check “Create Protected Disc (BDMV-REC) to disable Cinavia” option, and choose output as BD 50 / BD 25. Passkey for DVD/ Blu-ray is the very app for you to view any DVD/ Blu-ray using your region specific player regardless of annoying region code. And it can also remove all known DVD copy protections just in seconds, then work with a variety of software to access any DVD/ Blu-ray content, particularly works well with BluFab DVD/ Blu-ray Copy and DVD/ Blu-ray Ripper. BluFab Blu-ray 3D Ripper is accurately the world’s first Blu-ray 3D converter software. It can get rid of all Blu-ray protections and freely convert Blu-ray 3D to 3D video for playback on 3D display device. Especially, this best Blu-ray to 3D converter supports the current popular side-by-side format for 3D content. BluFab HD Decrypter is a simple version of BluFab “DVD to DVD” and BluFab “Blu-ray to Blu-ray”. It copies entire DVD/Blu-ray movie to hard drive, and removes all the DVD protections and part of Blu-ray protections while copying. BluFab File Transfer transfers converted files to devices. Currently it supports iPod, PSP and ZUNE, and it will support more devices in the future. New: Added support to rotate video in DVD Converter, Blu-ray Converter and Video Converter (Video Effect Settings -> Crop). New: Added support to add multiple sources in Copy and Converter tools. New: Added support to output multiple audio and subtitle tracks for some profiles under Device column. (Note: Not all device preinstalled media players support to play back multiple audio and subtitle tracks, we recommend VidOn player for Android and iOS, which are available at http://vidon.me). New: Added mp4/MKV passthrough profiles in Video Converter. (NOTE: Not all video and audio codec’s support passthrough). Fix: A crash problem when switching copy mode in certain cases. Fix: A problem that the preset subtitle settings are reversed back to default value when doing other settings at Advanced Settings panel. Fix: A wrong chapter info problem when converting DVDs with MKV profiles. Fix: A conversion failure problem with Xbox One profile.